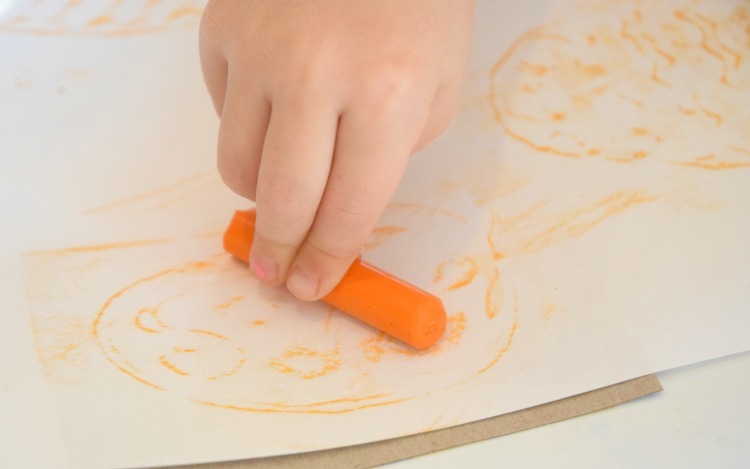 When I was a little girl, I LOVED to sprawl out on our kitchen floor and make crayon rubbings of the textured laminate floor. I must have done it a hundred times! 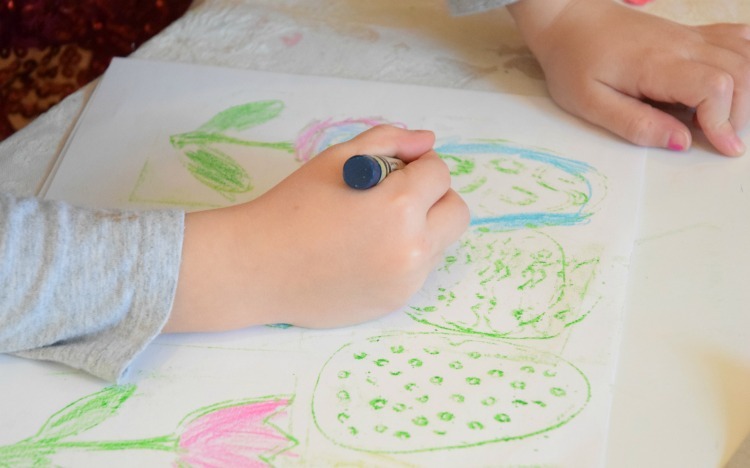 I think all children love crayon rubbings- there's just something really fun about watching the patterns and shapes appear! Lena and Maggie really enjoyed these DIY Spring and Easter Crayon Rubbings and may be on their way to crayon rubbing obsession. 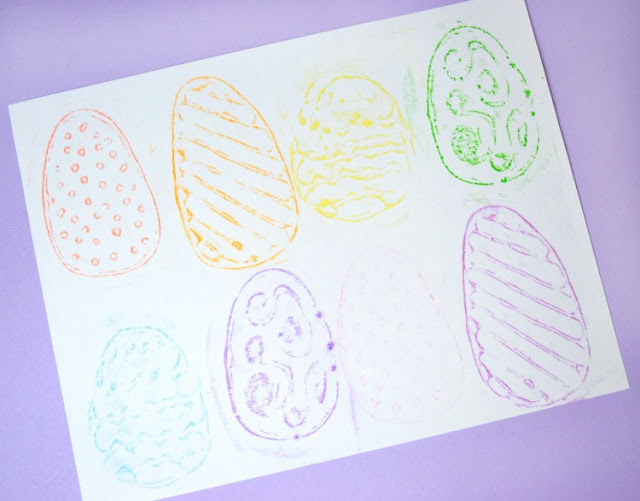 Here's how to make your own crayon rubbing plates. Cut your box board into small pieces. 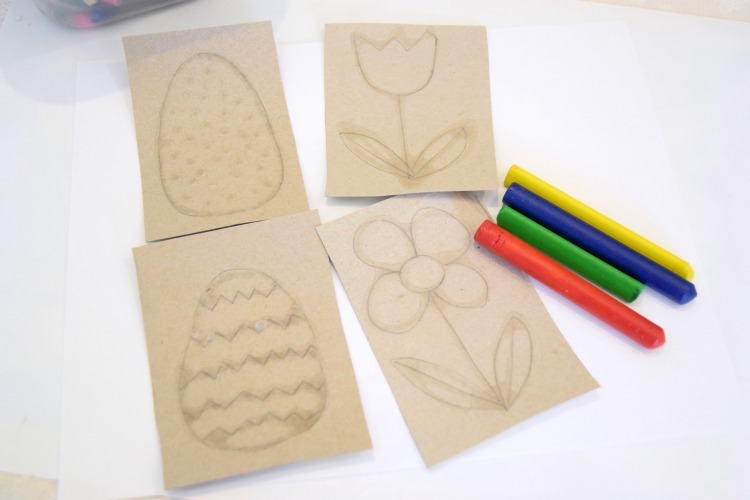 Draw simple spring or Easter designs with a pencil. 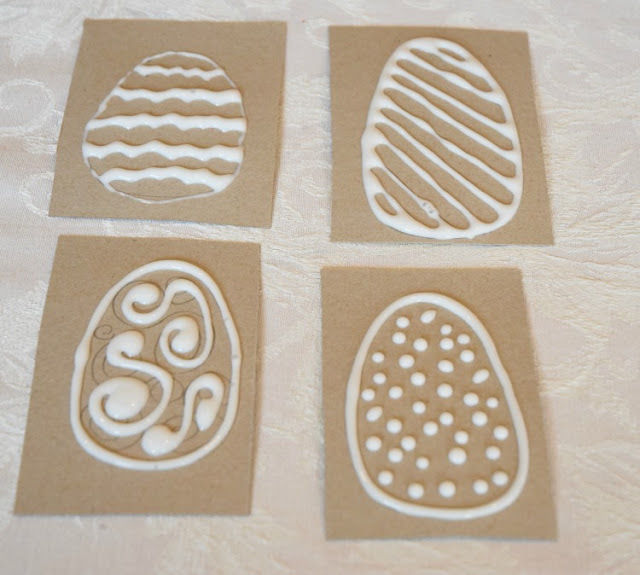 We did one set of Easter eggs and another set of flowers. You could also draw a sunshine, bunnies, chicks, or Easter crosses. 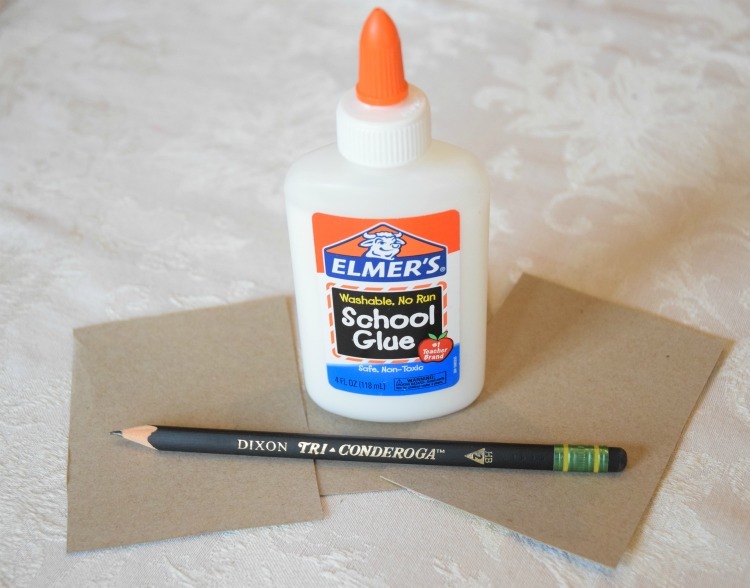 Go over the drawings with school glue. Older children could do this step on their own. 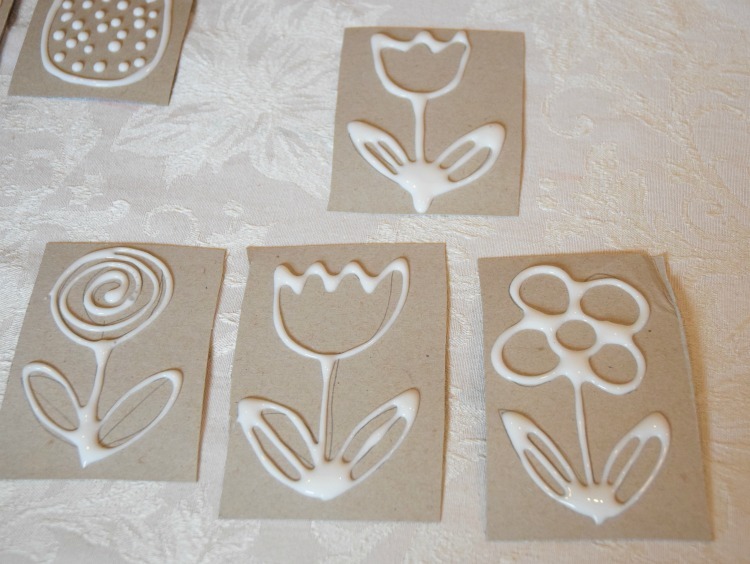 Set the rubbing plates aside to dry. 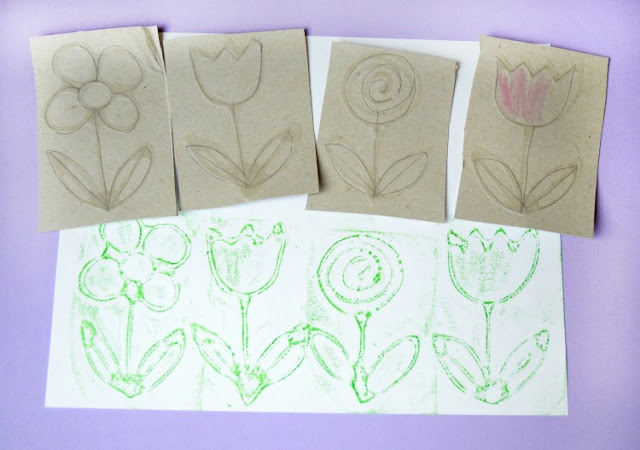 When the glue has dried, grab some paper and crayons with the wrappers removed. 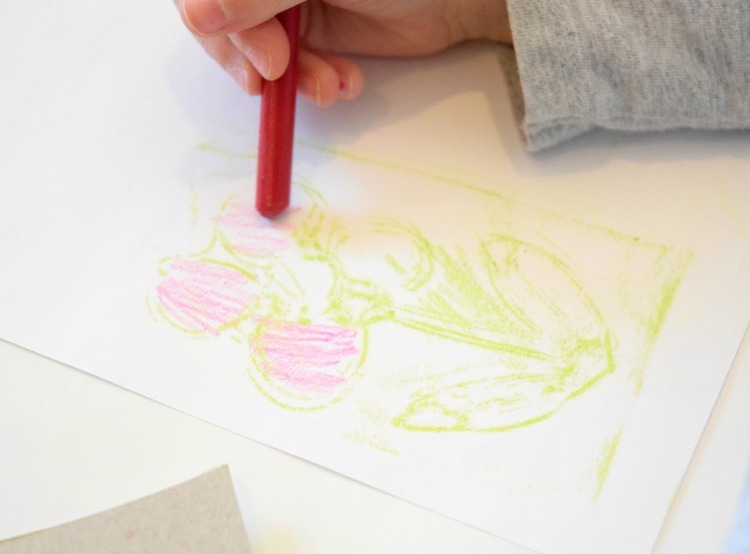 We found that jumbo crayons were much easier to hold! Place a rubbing plate under the paper and rub the side edge of the crayon onto the paper, and watch the shape or design appear! 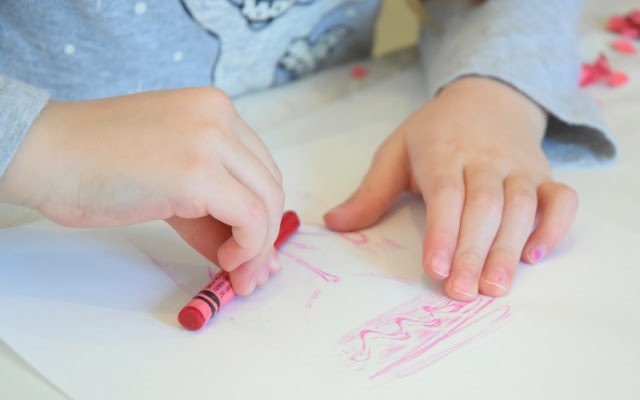 Figuring out how to hold the paper and manipulate the crayon in this unusual way is a fantastic fine motor exercise for young children. They'll have to use very different muscles than normal coloring! Maggie (age 4) needed a little help holding the paper still. Lena especially enjoyed doing the rubbing and then coloring in the picture. She made a whole Easter scene! Your children may want to try to make a whole flower garden. Or a collection of Easter eggs! 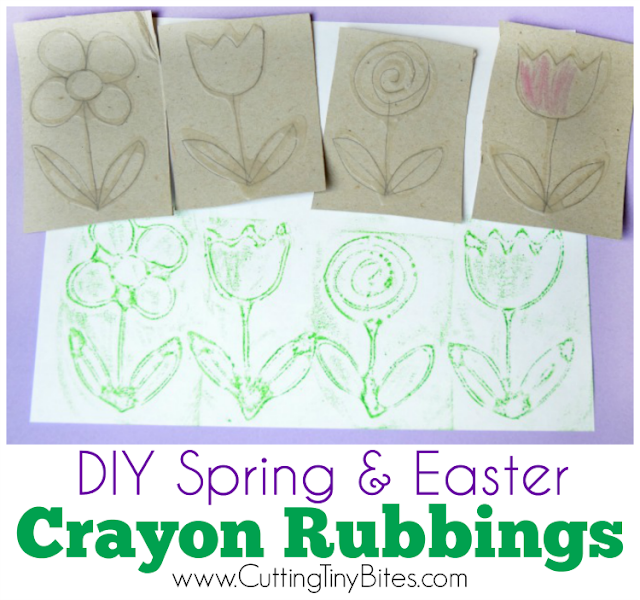 DIY crayon rubbing plates with spring or Easter designs. 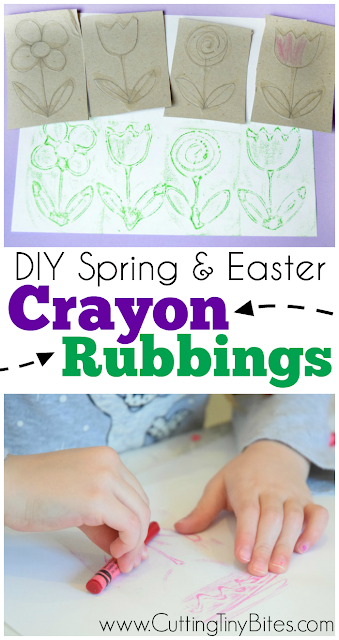 Make Easter eggs, flowers, bunnies, or chicks with this fun fine motor activity for preschoolers, kindergartners, or elementary children.